Engine Companies 2, 5, 3, 4, and 1were dispatch for the smell of smoke in the Montross FoodLion. Command after arriving on scene and gotten a size up held assignment with Companies 2 and 5. 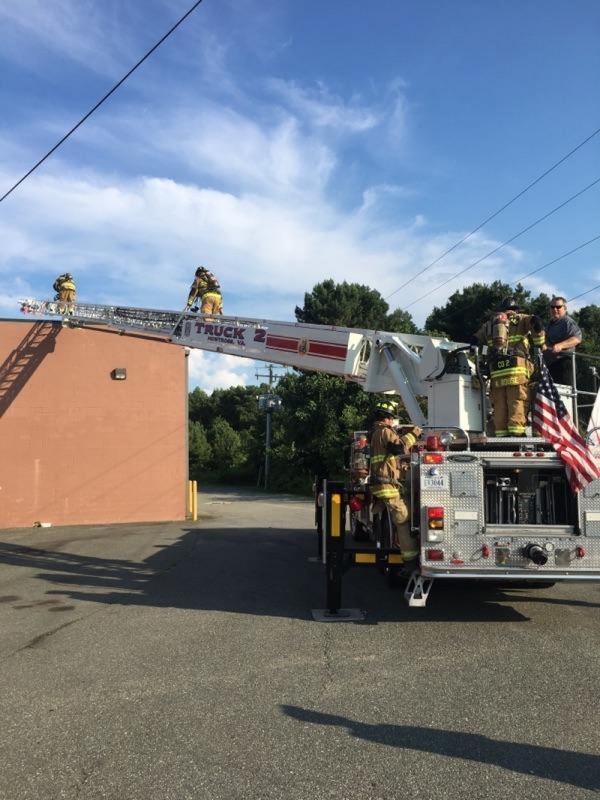 Truck 2's crew ladder the the roof for investigation of HVAC systems.